When Vinous readers suggested a Dunn vertical, the only questions were when, where and which wines. This tasting spanning 21 vintages of the flagship Howell Mountain Cabernet Sauvignon going all the way back to the inaugural 1979 was remarkable for so many reasons. Virtually all of the wines had been purchased from the estate over the years, so provenance was about as perfect as it could have been. Overall, the wines were striking and confirmed Randy Dunn’s place among the top winemakers in Napa Valley. Our small, intimate tasting was held at Bar Boulud in New York City. The entire team at Bar Boulud, including Daniel Boulud, Executive Chef Olivier Quignon and Head Sommelier Michael Madrigale did a fabulous job. 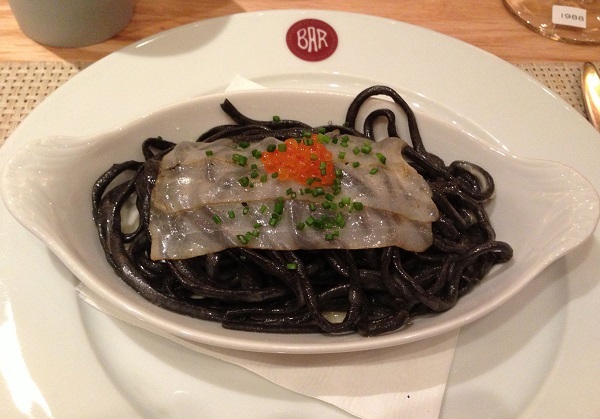 Quignon prepared a tasting menu full of highlights, including the squid ink pasta with garlic housemade rosemary-orange lardo and trout roe, which was out of this world, and the stuffed quail with squash risotto. All of the wines were stored upright for several days before the tasting. 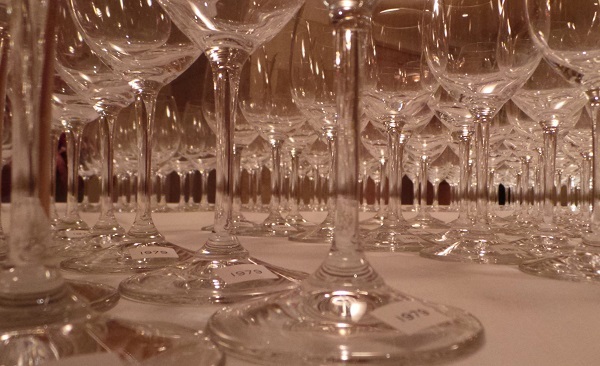 The wines were opened several hours in advance and double decanted prior to service to remove sediment. I tasted all the wines twice; once upon opening, and a second time during dinner. Watch as Michael Madrigale and I discuss the dinner in this short video. Randy Dunn is one of Napa Valley’s most iconic producers. Over the years and decades Dunn has remained faithful to what he views a classic style of Cabernet Sauvignon. Although in many ways quite introverted and reclusive, Dunn hasn’t been shy in his critiquing wines that he feels are overdone, which hasn’t exactly won him a ton of friends in some circles. The great irony is that as many of today’s generation of young winemakers seek to rediscover the roots of Napa Valley, Dunn’s wines, along with those of a handful of producers – including Forman, Togni, Inglenook and Diamond Creek among others – have never been more popular. Dunn graduated from UC Davis in 1975 and went to work for the Wagner family at Caymus, where he spent the next decade. During that time, production at Caymus surged from 8,000 to 100,000 cases. In 1979, Dunn made a small amount of Cabernet Sauvignon under his own label. That first release remains gorgeous, even today. 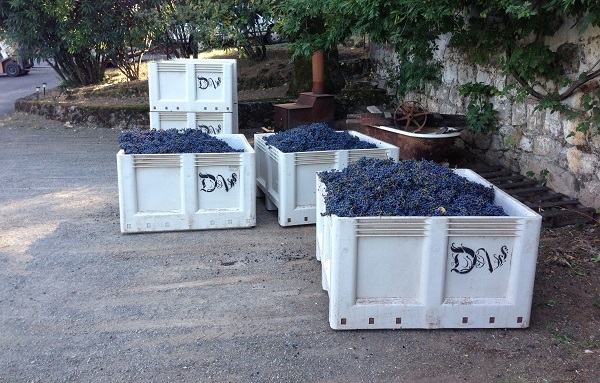 The early Dunn Cabernets were made and bottled at Caymus on a shoestring budget. In 1982 Dunn introduced a second wine, the Napa Valley Cabernet Sauvignon, which in many vintages has proven just as age-worthy and pedigreed as the Howell Mountain bottling. As Dunn tasted through lots for the Caymus program, he would occasionally encounter bulk wines that were outstanding in quality but too expensive for Caymus. Dunn bought one of those lots and that was the start of the Napa Valley Cabernet. Markets evolved quickly though, and just a few years later buying high-quality, nearly finished wine at low prices was no longer possible, so the Napa Valley program shifted to include purchased fruit along with a second selection of estate fruit rather than bulk wine beginning in 1985. Randy Dunn has built much of his reputation and mystique on formidably tannic Cabernets that take decades to come around. That may have been the case in the 1980s and 1990s, but I find that less true today. To be sure, these are classically built, structured Cabernets full of mountain tannin that are built to age, but opening a Dunn Cabernet young these days is not a crime, even though most wines will hit their prime around age 20, give or take. The winery and vineyards are located on Howell Mountain, which is one of the most distinctive areas in Napa Valley. Bud break is often delayed here, which is one of the many features that are unique to Howell Mountain. The vineyards sit above the fog layer, though, which provides fabulous exposure to sun and light, especially in vintages where valley floor sites can struggle. Since the beginning, the wines have been made pretty much the same way, just as they were made in most places prior to the advent of technology in the 1980s. Specifically, there is no sorting table or fancy equipment at Dunn. The grapes are lowered into the crusher with a forklift and fermentation starts right away. When the wines are dry, the must is pressed and left to settle for about two weeks. The wines are then moved into barrel, where they spend 30 months, which is quite long by Napa Valley standards. The wines are not fined but are sterile-filtered prior to bottling. When alcohols climb above 14% Dunn will remove alcohol to bring the wines back into what he views as the correct equilibrium. Personally, I am not a big fan of removing alcohol from wines, as I think it as an unnecessary intervention that isn’t entirely consistent with an approach that is so much more hands-off when it comes to farming and other aspects of winemaking. Dunn is quite candid in stating that traditionally wines were often brought down below 14%, it was just done with watering back. There is plenty of evidence to support the fact that red wines, especially those with rich fruit and intense tannin that are also above 14% in alcohol can age impeccably. One need only to look at the Barolos from the early 1970s to understand that alcohols above 14%, 14.5% or even greater have not in any way impacted the ability of those wines to age and develop positively in bottle. To the contrary, a number of wines from that era remain widely recognized benchmarks of excellence. Regardless, what I value most is the quality of what is in the bottle, and there it is hard to argue, with the exception of a few vintages I have never been fully enamored with here, such as 2002. Napa Valley is one of the world’s great wine regions for many reasons. One of those reasons is the sheer diversity of its wines. 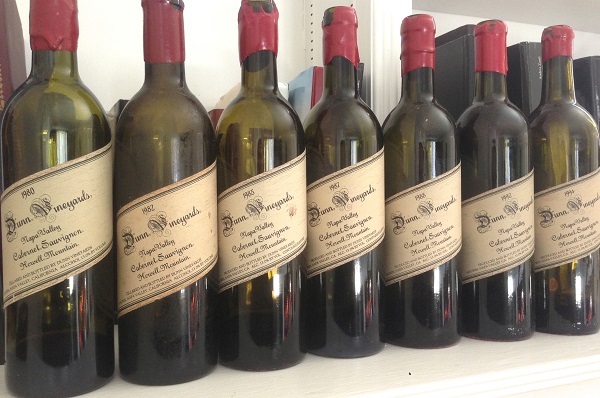 Randy Dunn’s Cabernets represent one of the pinnacles of excellence within the school of structured wines built for aging. As I mentioned above, today’s wines aren’t quite as imposing as they used to be, but they remain relatively firm and in need of at least some cellaring. Readers who can find well-stored bottles of some of the iconic older vintages in this article are in for a treat.